A friend of mine, whose mother recently died after years of dementia, told me that toward the end she allowed herself a rare moment of vulnerability with her mother. They had always had a challenging and difficult relationship, one marked by disdain and indifference on her mother’s part. But as death was moving closer, my friend told her mother that, despite it all, she still felt love for her. Her mother’s response was to flick off this confession as if it were a piece of dust. It could be chalked up to dementia, but it was also the pattern of a lifetime. My friend was deeply hurt because she wanted, in those last moments, to have something warm to hang onto. I told her that the moment she described wasn’t really about her mother. It was about her, and her willingness to be vulnerable and soft even in the face of a history that was far from loving. Too often, we assume that if we don’t get the response we wish for from the other person, we’ve failed. But the truth is, if we have opened our heart, especially to someone whose heart was closed to us, we’ve just emerged victorious from the field of a long and tired war. It’s hardly a secret that I had a challenging relationship with my mother. I’m in the club of women who don’t quite know what to do with Mother’s Day. My mother was in poor health for several years before she died. I visited her every Sunday. Sometimes the visits were easy and pleasant, sometimes not. But what I came to was a place of compassion for her, laced with sympathy. Her children were not the focus of her heart, she didn’t have the profound emotions that women generally have toward their children – the emotions that make them say they’d walk through fire to save their child, or make them stay awake at night consumed with worry. The absence of that maternal instinct used to feel like an indictment, now it just feels like a very sad story. I think Mother’s Day, for those of us who had complicated relationships with our mothers, can be a day of reverence for the mothers who do melt with love for their children, and also a day of reflection. We’re meant to learn and grow in our time on this earth. Some of our lessons come from struggling with sorrow, with loss, with what we didn’t get in certain relationships. But in the end, it’s the lessons learned that matter. Maybe for us, Mother’s Day can make us grateful that, despite not getting an open heart from our mothers we learned to open our hearts to them. It’s nothing one can find in a Hallmark card, but it matters in what we leave behind on this earth. Sometimes our greatest teachers are the people who hurt us and made us wrestle with why we’re here and who we are supposed to be in this life. Sometimes those people are the women who gave birth to us. Beyond the obvious pain, there is something to be grateful for if the experience widened our hearts. 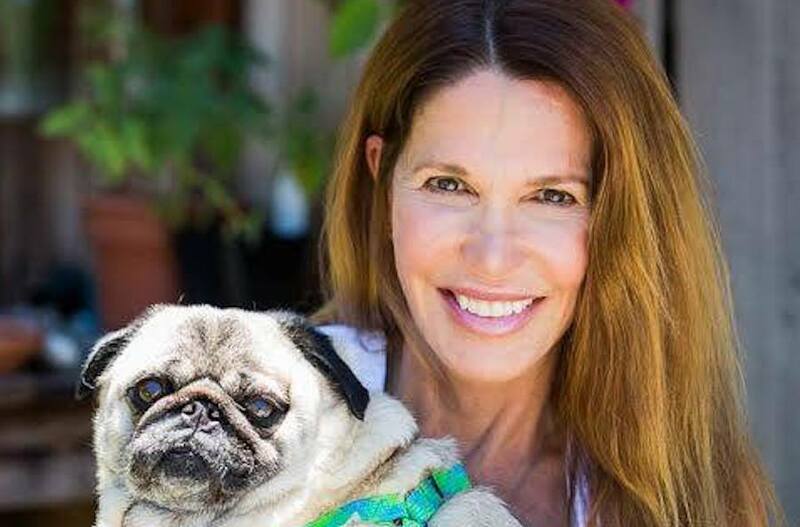 Patti Davis is the author of 11 books, including the new book “The Earth Breaks in Colors.” She is the daughter of President Ronald Reagan and Nancy Reagan. This essay was featured in the Mother’s Day edition of The Sunday Paper, Maria Shriver’s free weekly newsletter for people with passion and purpose. To get inspiring and informative content like this piece delivered straight to your inbox each Sunday morning, click here to subscribe.